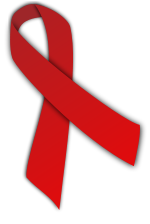 I remember many years ago when I first heard about AIDS (Acquired Immune Deficiency Syndrome) as a medical secretary at The Hospital for Sick Children. Staff - all? - were to attend a news announcement in the hospital's auditorium. I recall vaguely that what was discussed was news of AIDS and cautionary measures that the hospital was to take. I imagine this is possibly when gloves wear worn by all nurses dealing with needles and the like. I read a newspaper headline briefly today along the line of my title (which I made up). According to Dr. Julio Montaner, director for the B.C. Centre for Excellence in HIV/AIDS, a world-renowned doctor for his efforts in treating patients with AIDS at St. Paul's Hospital in Vancouver, BC, he had closed the AIDS clinic as that was no longer an issue. However, Hepatitis C or Hep C or HCV (Hepatitis C Virus) for short has replaced AIDS in terms of severity - http://www.en.wikipedia.org/wiki/Hepatitis_C. Some people believe the AIDS epidemic originated in Africa or with monkeys. Others believe that it was a way to wipe out a certain sector of the population. These conspiracy theories may or may not be true - though I'm beginning to think the Ebola virus (http://www.en.wikipedia.org/wiki/Ebola_virus) might fall into this category too - notice that both AIDS and Ebola started there? Conspiracy theories certainly hold our interest but I don't know...I guess these are just diseases, deadly ones at that, which we need to fight together.. I am with Pheno...stay far away from both of them and hope no one I know gets them. I wrote a post on Linkedin on Ebola and was shocked at the response. As a health coach I teach people how to build their immune systems and a strong immune system is our defense against any disease. As far as the conspiracy theories, where there is smoke, there is usually fire. Deadly disease... stay away. But help those in need.